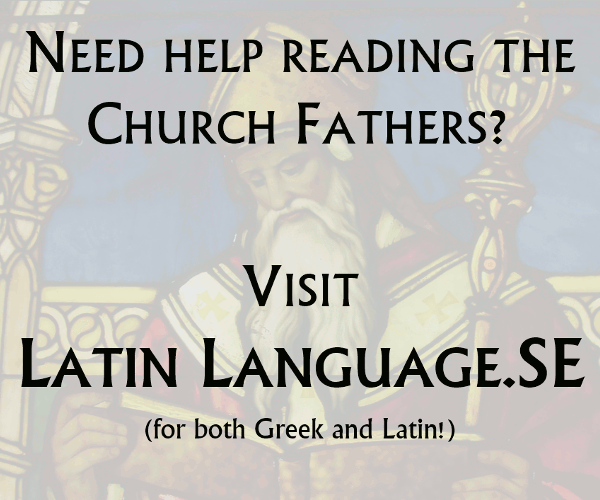 Is Latin considered a holy language in the Catholic Church? I've heard that many Roman Catholic Churches still hold Mass services and particularly ceremonies (e.g. weddings) in Latin. Is this true, and if so why is Latin considered to be a better language than the native language(s) of the region in which the church is in? Yes, prior to the promulgation of the Novus Ordo Mass finished by 1970, Latin was the language used at Mass throughout the world. The change to the vernacular didn't change the official language of the Catholic Church which is Latin. They've got a handful of priests who are familiar with the language. Beyond that, it was obviously the desire of Mother Angelica to have a more traditional (and therefore holy, beautiful and sacred) liturgy. But it doesn't make it more "meaningful"; Christ isn't less present at Masses proclaimed in the vernacular. In 2007, Pope Benedict XVI issued a Motu Proprio Summorum Pontificum (only in Latin) in which he said that it was OK by him if people used the old Roman Missal (only in Latin), which incidentally is less than 10 years older than the new one, for their Mass. This lifted the responsibility from the Bishops to say yes or no and made a few Traditional Catholic groups happy. It's not more holy, in the sense that it is "special in God's eyes". But it certainly is more holy in the traditional sense of the word "set apart", more so today than in the hey day of the Holy Roman Empire. The Latin language has always been held in very high esteem by the Catholic Church and by the Roman Pontiffs. As a very preliminary point, there are several "Rites" within the Roman Catholic Church1 and some of them have never had, and never will have, Latin liturgical services. So all of the below applies specifically to the Roman Rite (which is the most widespread by far). To lay the basic groundwork: Latin is still the official liturgical language of the Roman Rite. The Scripture readings in the liturgy are translated from various sources, but apart from those, any non-Latin text of any liturgical service has been translated from the official Latin, and the translation itself has been approved by the Vatican. Occasionally, in the Ordinary Form: This is the form of mass used by almost all Roman Rite Catholics since 1970. No part of it is required to be in Latin but many communities will still use a bit of Latin here and there, sometimes for musical reasons (perhaps a visiting choir singing a mass setting by Palestrina or Mozart), and sometimes as an intentional way of connecting with tradition: My own parish, for example, sings a few brief, simple parts of the mass in Latin during Advent and Lent. Exclusively, by requirement of the law, in the Extraordinary Form: Colloquially known as the "Tridentine" or "Traditional Latin" mass, this is the form of mass used by Roman Rite Catholics almost everywhere up until about 1964. Some communities still use it regularly or even exclusively. By law this form of the mass has to be celebrated entirely in Latin, with limited, recently-granted (2007), and rarely-used exceptions for the Scripture readings. The law in force here is ordered mainly toward preserving an ancient treasure of the Church during a time of liturgical confusion and rapid change (i.e., the last 40-50 years). Those who prefer this form of mass may or may not personally prefer Latin -- I know people who would love to have the older form of mass in the vernacular and sometimes I lean that way myself. Liberally, by free choice, in the Ordinary Form: There is a tiny number of parishes where at least some of the masses are celebrated in the post-1970 form but entirely or mainly in Latin. This is very uncommon and there is usually some unique reason for it. As to why Latin is considered a "better language" there are many answers. Popes Pius XI and John XXIII both solemnly affirmed the general importance of Latin in the life of the Catholic Church, in letters published respectively in 1922 and 1962. They identified, among other things, its universality, immutability and nobility -- not to mention that knowing Latin unlocks a huge treasury of Patristic and ancient literature. There are also many reasons why an everyday Joe who can barely manage his own native tongue might prefer to worship at a service conducted in Latin. Peter mentions beauty and that's an excellent one. Some of the Latin prayers of the mass have been with us for a thousand or more years precisely because they are exceedingly well-crafted poetic gems. Likewise many long-lived and beautiful sacred-music settings were written for, and best fit, Latin texts. I would guess that an Orthodox Christian could speak at length on the question of liturgical beauty -- there is a strain of thinking that is muted in current Catholic discourse but I think very strong with the Orthodox, wherein one considers the beauty of a liturgical service objectively or theologically, rather than subjectively or pastorally. From this perspective, the question is less "what is accessible to the people present?" and more "what is most fitting for the Eucharistic worship of almighty God?" This gets complicated, of course, because vernacular liturgy is fairly well-established in the Orthodox Churches. I mentioned tradition above -- the Catholic Church is big on that, and worshipping in Latin, using the same words that our fellow Catholics have used for a thousand or more years, connects us with our tradition very concretely. And if I might speculate a bit: Another reason for some people may be that a veil between the worshiper and the act of worship (in this case an intellectual veil) may actually facilitate one's interior participation in that worship. The parish priest who wrote this little book, for example suspects that a surprisingly large number of people actually find themselves in a state of continual distraction when attempting to worship God at a liturgy that is entirely spoken aloud in their own language. Of course this gets into contentious questions about the theology of worship, what it means to "participate", etc. The use of a sacred language in the liturgical celebration is part of what St. Thomas Aquinas in the Summa Theologiae calls the "solemnitas." The Angelic Doctor teaches: "What is found in the sacraments by human institution is not necessary to the validity of the sacrament, but confers a certain solemnity, useful in the sacraments to exercise devotion and respect in those who receive it" (Summa Theologiae III, 64, 2; cf. 83, 4). Sacred language, being the means of expression not only of individuals, but rather of a community that follows its traditions, is conservative: it maintains the archaic linguistic forms with tenacity. Sacred language, being the means of expression not only of individuals, but rather of a community that follows its traditions, is conservative: it maintains the archaic linguistic forms with tenacity. Moreover, introduced in it are external elements, in so far as associated to an ancient religious tradition. A paradigmatic case is the Hebrew biblical vocabulary in the Latin used by Christians (Amen, Alleluia, Hosanna, etc. ), as St. Augustine already observed (cf. "De doctrina christiana," II, 34-35 [11, 16]). In the course of history a wide variety of languages has been used in Christian worship. In the course of history a wide variety of languages has been used in Christian worship: Greek in the Byzantine tradition; the different languages of the Eastern traditions, such as Syriac, Armenian, Georgian, Coptic and Ethiopic; Paleo-Slavic; the Latin of the Roman rite and of the other Western rites. Found in all these languages are forms of style that separate them from the "ordinary" or popular language. Found in all these languages are forms of style that separate them from the "ordinary" or popular language. Often this separation is the consequence of linguistic developments in the common language, which then are not adopted in the liturgical language because of its sacred character. As soon as Greek was replaced by Latin in the Roman liturgy, a highly stylized language was created as a means of worship, which an average Christian of Rome of late antiquity would have had difficulty in understanding. However, in the case of Latin as language of the Roman liturgy, a certain separation has existed since the beginning: Romans did not speak in the style of the canon or of the prayers of the Mass. As soon as Greek was replaced by Latin in the Roman liturgy, a highly stylized language was created as a means of worship, which an average Christian of Rome of late antiquity would have had difficulty in understanding. Why continue using Latin in the Church and in Liturgy? In an age marked by great mobility and globalization, a common liturgical language could serve as a bond of unity among peoples and cultures, apart from the fact that the Latin liturgy is a unique spiritual treasure that has nourished the life of the Church for many centuries. In an age marked by great mobility and globalization, a common liturgical language could serve as a bond of unity among peoples and cultures, apart from the fact that the Latin liturgy is a unique spiritual treasure that has nourished the life of the Church for many centuries. Undoubtedly, Latin contributes to the sacred and stable character "which attracts many to the old use," as Benedict XVI wrote in his Letter to Bishops, on the occasion of the publication of the "Summorum Pontificum" (July 7, 2007). With the wider use of the Latin language, an altogether legitimate choice, but little used, "in the celebration of the Mass according to the Missal of Paul VI, could manifest, in a stronger way than it has often up to now, that sacredness" (Ibid.). Even though I am not Catholic, I teach the history of music, and thus, have become somewhat familiar with music practices in the early church. One point that struck me as a very valid one for the continued use of Latin is that it is a dead language. While that may not, at first glance, seem to be an advantage, it really is! We all know many words in our native tongues that have taken on very different meanings over time. Since Latin is not in current use (and hasn't been for many, many years) as a vernacular tongue, the original meaning of the Latin liturgy remains unchanged. While this may not have been the original reason for the use of Latin, it is certainly a positive one! I would like to be more explicit on the content of the Apostolic Constitution Veterum Sapientia, which Ben mentions above. This document, written by Pope John XXIII in 1962, and subtitled "On the Promotion of the Study of Latin" expresses very clearly the position of Latin in the Church. Then, the Pope expresses the numerous benefits of Latin over other languages, like immutability, universality, favouring no nation, etc. In addition, the Latin language “can be called truly catholic.” It has been consecrated through constant use by the Apostolic See, the mother and teacher of all Churches, and must be esteemed “a treasure … of incomparable worth.” It is a general passport to the proper understanding of the Christian writers of antiquity and the documents of the Church’s teaching. It is also a most effective bond, binding the Church of today with that of the past and of the future in wonderful continuity. Whether Latin Language is "holy" or not, that depends on the definition of holiness. But what is clear from the above is that for John XXIII Latin is a "noble, majestic" language, "truly Catholic", "a treasure … of incomparable worth", which has been "consecrated through constant use". For interest's sake, I have heard several Catholic exorcists remark that prayers in Latin are much more powerful against Satan. I do not know why that is (can anyone explain the reason for this?) but it seems that it would seem that while the prayers in any language can be effective (for all prayer is the movement of the heart towards God), the same prayers in Latin have much more efficacy. Not the answer you're looking for? Browse other questions tagged catholicism religious-practice mass language latin or ask your own question. Is there a special significance attached to a Latin Mass? Why does the Catholic church have so many Masses throughout the week? Is the Vulgate the official version of the bible for entire Catholic Church, or just the Latin Church?